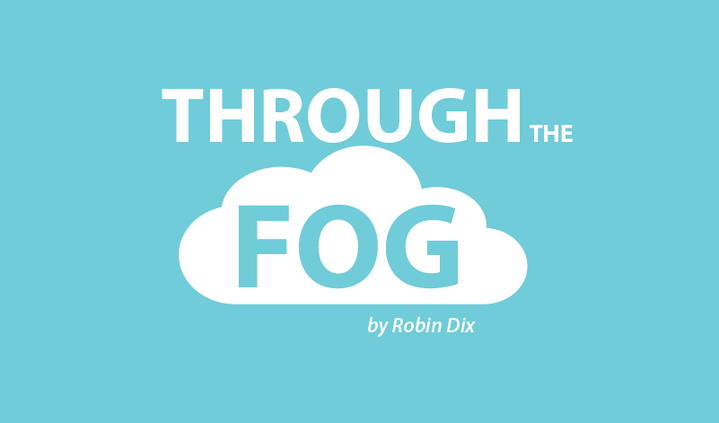 In Through the Fog - A Column by Robin Dix. Tagged blessing, burden, Fibromyalgia, positivity, The 5 Languages of Love. Previous: What Are the Symptoms of Fibromyalgia in Women? All very true. We have to be careful what we tell ourselves. We cripple ourselves with what we think has to be our story. The devil does a happy dance when we feel defeated. We must speak a new story into our lives and repeat it to ourselves often. We can certainly do that by doing as you said and being a blessing to some purpose outside of ourselves. Having a servants heart is our calling. Sometimes a sweet smile and a few kind words to a stranger can be huge. Speak a new story and the old ones fall away. Know your own purpose and know who created you and your own power. Thank you. I recieved most of that message from Pastor TD Jakes. I’ve been trying to apply these teachings to my own life. I’m no Pollyanna though that’s for sure…. I just keep trying. So I’m clearly not a marathon runner and wasn’t made to be one lol…. I’ll stay on my path in those principals he spoke of until those old ways of thinking won’t consume me anymore. Pamela, absolutely true and very well put!! U mentioned not being able to do the things you want to do but doing the things you can and how you and your husband make it work. My husband and myself are working toward that more lately…. I’ve spent too much time being down in the dumps about not getting things done and the guilt we all know very well…. our spouses usually know all this already and I know it just makes them feel bad and sorry for us…. we are beginning to work as a team now and things are getting so much better. He is more than happy to assist me in any chore I ask him too. He sees my effort and we make things happen. It’s all about finding that new way to get things done. So far in my 20 plus years with FM I have managed to not only take care of myself but for the last 2 years be a caregiver for my best friend in kidney failure. This past year kind of proved to be to much and I am paying for it dearly. I would not do it any different. I live in California and my daughter is in Ohio now with her family. I will be moving in with them this year. We have managed to see each other every year and speak on the phone anywhere from 1 to 6 times a day. My daughter and son-in-law are looking forward to my arrival as they tell me they want me now so we can have some quality time together before I get worse. I am so blessed to have the support of my family as I too have lost most of my friends due to cancelling at last minute so many times. I know I am a blessing to them as they tell me daily. Chris, I’m super excited for you!! Family is so very important and you will once again feel a part and no longer alone ? Grace, thank you so much!! I really enjoy interacting with everyone here ??? A blessing-not hardly. Even my own mother disowned me because she did not understand-everyone has disowned me-even the government has now messed me over because I am considered the widow of the man I divorced who did make money and did not report it. What he did report was after the divorce. I am so angry I would spit nails if I could-tried to join a group and ended up w/ acceptance from someone I have never even heard of-sure I hear pretty words. Not knowing what to do and know not to ask family and I understand how busy everyone is and respect such, but to be bashed on fb? Still in tears. I shared some unseen family photos because today is the 5th anniversary of my mother’s death and to be slam-dunked by my DIL (not her fault she is spoiled). No more sharing about my side of the family w/ her again. Just out and out cruel!! When you become a person w/ no financial worth few give a rodent’s behind. These are facts and not self pity. A lot of anger and not because of my disabilities but because I am being treated lesser than by people that once said they loved and cared. I was there for them in hard times-where did they all go??? Enough whining as I really need to be encouraging to others who are still able to do something useful w/ their lives and others who are in far worse places. Gads, old messages do not grow dimmer w/ age. I have heard stress can kill. I praise God for the strength to continue on and if someone is offended that I put my faith in God this is okay. I can still love and understand. God has not abandoned me, but many claiming to be His people have done so and I just do not understand other than this world is mostly materialistic-always has been and always will be. So for those of us traveling the rugged path and feel alone-this “old timer” gets it and even though I personally abhor platitudes-surely this too shall pass. The scripture I keep in mind when in a hard place is Phil. 4:8. and currently need to write these words on a large piece of paper and tape it to the wall so as to try and get these words in my heart and mind w/ more solidarity. I read the scripture u mentioned. I agree with you on it…..it’s something everyone should practice. I also get your point about pretty words. In the midst of the storm they can feel really empty and not helpful much. The only place we should look for complete acceptance and approval is from God….. I don’t do face book for some of those very reasons. All of us disappoint those we love at some point. We have to keep looking outside our own struggles. Keeping our eyes on God and doing his work. My apologies to all. Not proper to be so negative. In a hard place and the pain is-well, we all know what stress does. All of you here have been a blessing and I am thankful. Having one of those sleepless nights in Nowhereville. Try to do something positive and constructive. No need to apologize, we completely understand! So glad you’re a part of this community ?? It’s hard to be positive all the time,especially when you’re having a painful day. I usually snap out of it after a day or two,but it gets hard. We fibro fighters are here for you and understand! I pray that you will be brought in that place of abundance too. Sometimes it’s not even material abundance but a place where you can breathe a bit again. Hang in there and hang onto Him. Em, as hard as it can be, sometimes you just have to let people GO. If they are not bringing light, love, understanding and compassion into your life, get rid of them! Limit your time with the ones you have to endure in order to see others you love and let the rest of them GO. It really can be cathartic! Why do you continue to waste time on people who do not care about you? Take that energy and use it in a positive way for yourself. I have learned that the stress of being around negative people – including very close family members – makes me feel so much worse! So I removed myself from several “relationships.” You know what? I really don’t miss them anymore. I found that I was actually missing what I THOUGHT I HAD WITH THEM, NOT WHAT I ACTUALLY HAD! I also feel sorry for them as it really is their loss. I know you don’t like platitudes, but I’m sure you’ve heard the one about, “Why do you keep banging your head against that wall? Because it feels so good when I stop.” And let’s not forget the one about, ” Sign of Insanity? Repeating the same actions over and over again expecting different results.” You have friends here who care and understand. Please stop being so hard on yourself. And let those folks go…you’ll be surprised at how much more peaceful your life will become. 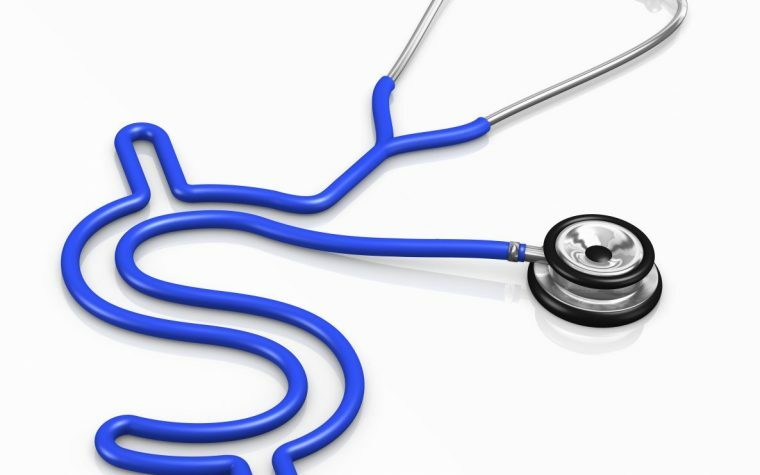 I was diagnosed with FM almost 3 years ago. I had been suffering for the previous 3 years, with symptoms that continued to get worse until I finally found a doctor that did not think I was crazy or that all of my pain, fatigue, brain fuzziness and everything else was just in my head. I have good and bad days, but as this progresses the bad days are more frequent. I am still trying to wrap my head around how to deal with this and the possibility that I also may have MS. There are many times over the last couple of years that I have felt like a burden, especially to my husband who is nothing but amazing to me. I recently began reading the posts on this forum and it has really helped me in so many ways. I’ve been able to have the hard conversations with my friends and family about the fact that I am sick and just not going to be better one day, I will have this for the rest of my life. When I have a good day it is so easy for them to forget that I have a chronic illness, so when I do have a bad day they don’t understand. It is getting better with them. For now, I still work full time, well as much as I can. My job has been amazingly accommodating, and I am thankful, as it is very hard for me to not be able to do the things that I used to. This post really helped to remind me that I am a blessing to many in my life, that I have done my share to help others, and still do whatever is in my power and ability to help when I can. Sometimes it is so hard to remember those things when I am down, in a bad place in my head, and struggling to make sense of this all. Thank you for all the posts. I read all the comments and feel encouraged and not as alone as I used to. It is nice to see stories being shared to help me realize that I can still have a life, I just have to adjust my thinking and my action plans. Jacque, I’m so happy you found this post helpful!! I truly love your attitude… Hang in there ? Robin, another spot on essay of truth. Thanks so much. I, too, am married to a man who is a doer and loves to execute plans. I’m a planner and much more creative. I couldn’t be more opposite. However, since he is kind and full of energy (well, most of the time), life is manageable. I can still do some chores. I preferred when he worked evenings as with his help and motivation I could get things done around our home. I, also, had help with errands and being driven to appointments in bad weather or just because. He’s been working for several years (due to his health concerns, he switched bilaterally to a new position) daytime hours. He still has energy when he comes home about 4:30 p.m. In fact, I plan meals and he normally enjoys cooking them. However, I have NO energy left for errands (at least this time of the year) or even fun stuff. I have to push myself if we go out then. Pay for it later. Since (as I am aging) adding on more issues to my new normal, I feel like I have landed in a new dimension of life. I have a real feeling that most likely–until he retires–it’s not realistic that I can downsize, sort through, rearrange much. I need help. Three of our four daughters live far away and one is moving out with a bustling life of her own and purchased a home for herself recently. So…..more changes. I’m a thinker, reader, writer, planner…..takes time and energy. But it is what it is. I try to be balanced and do the best I can. I realize now that for the sake of my family, I kept pushing along despite everything. I can no longer accomplish that nor should I.
Julie, thanks for always encouraging me!! I’m also a planner and more on the creative side ? I’m glad my hubby works 2nd shift, he did that purposely so he could drive me to appointments and we can spend quality time together… Night time is too exhausting.